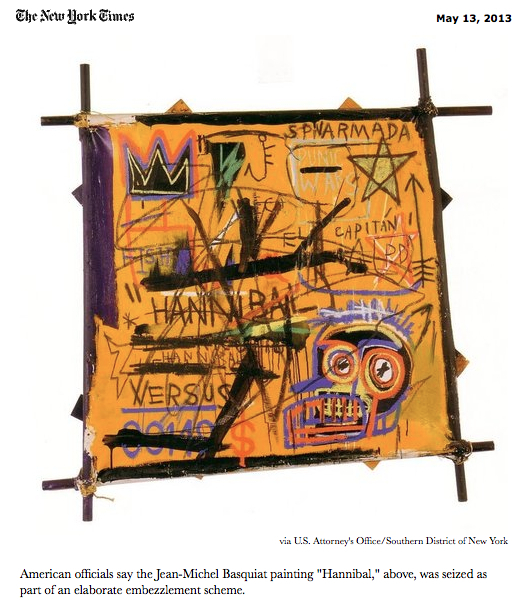 The New York Times reports detailed information about how art work is used for laundering money. It’s not just drug cartels. Greedy CEO’s are able to hide their millions through the vague business practices of the art world. This activity has always been whispered about in art circles, but seems to be more prominent now. The art market has never been subject to the accountability of financial transactions as in other businesses. Auction houses and top galleries claim anonymity is necessary with transactions in the millions. Why? I can imagine clients want to keep their purchases quiet for security reasons, but anyone who can afford a Matisse can afford to keep their collections safe. Read the NY Times article for the dirty truth. Posted in Photography and tagged Art, Art world, Fine art, money laundering, Photography. Bookmark the permalink.